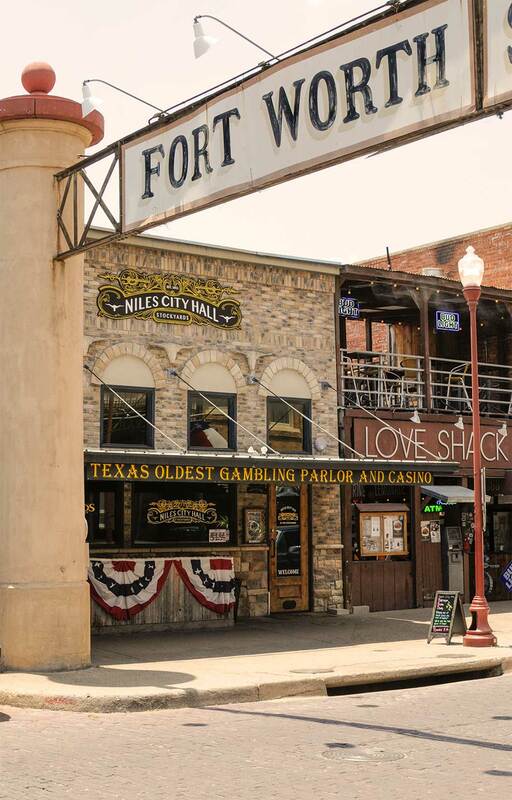 Even in this age of unlimited information at our fingertips, most locals believe the Stockyards was home to Hell’s Half Acre, Fort Worth’s bygone red-light district that was the setting for the downfall of notorious robbers Butch Cassidy and the Sundance Kid. 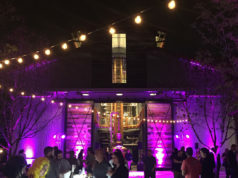 In actuality, Hell’s Half Acre was located in the southeastern quadrant of downtown Fort Worth that Acre Distilling, Malone’s Pub, and Texas A&M Law School call home. Nary a cold beer to be found, the Stockyards in the early 20th century was a $30 million cattle and meatpacking district. The area was so valuable, the property owners incorporated those streets into the small community of Niles City to block Fort Worth from getting a piece of their very rich tax base. Niles City remained its own entity until 1922, when it was forcibly annexed back into Fort Worth proper. It’s only fitting that Niles City Hall, a Prohibition-style cocktail lounge on East Exchange Avenue, stands out in a crowded field of nightclubs and bars, which attract lovers of contemporary country music and dirt-cheap beer. The name Niles City carries with it a certain stubbornness and refusal to conform. The month-old watering hole is hell-bent on pulling visitors who are looking for an elevated cocktail experience with an Old West feel. The décor of Niles City Hall matches the overall motif, right down to the barkeeps, who are dressed as though they were recently tossing back whiskey with Butch and Sundance. All of the traditional cocktails are on the list, like the Vesper, Last Word, Corpse Reviver, French 75, Dark and Stormy, Negroni, and Sazerac. I was surprised to see a personal favorite, the Ward Eight, available as well. This classic rye whiskey-based libation doesn’t often appear on menus in the South, as it is mostly popular in Boston, where it was first introduced. 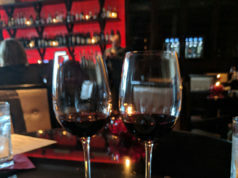 The place’s signature cocktails menu is small but concise, with expected riffs on Old Fashioneds, margaritas, and Moscow Mules. There’s beer and small wine lists as well. If you like to get simultaneously buzzed and wired, check out the two cocktails that employ coffee. The Arbuckle’s Old Fashioned is crafted from rye whiskey, demerara simple syrup, chocolate bitters, and muddled coffee beans. The Bill Pickett mixes up Patron’s coffee tequila with heavy cream and filbert (hazelnut). Niles City Hall is taking a bit of a gamble, in that the managers/operators are straying from the formula of a typical Stockyards honky-tonk, but the spirit of the those Niles City forefathers who decided, for better or worse, to buck the system and set up their own town is reflected in the theme. 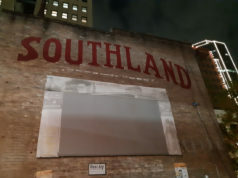 Most importantly for locals, it’s nice to have a new reason to venture into this often too touristy territory and revisit a piece of North Texas at the turn of the last century. 112 E Exchange Av, FW. 817-624-2222.